I think that every dog owner is the happiest man in the world. To have a dog means to have a best friend. 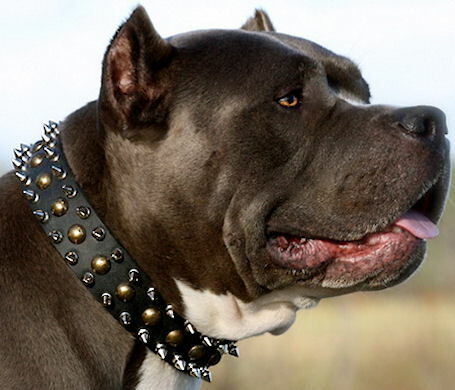 They are smart, devoted, friendly towards their owner and especially towards children. They love their owners more than themselves. But they also need love and care. It is summer now and you should go for a walk with your lovely dog very often. I'm sure that you like to visit public places with your beautiful four-feet friend. But, is he a good mannered? Does he need total control? 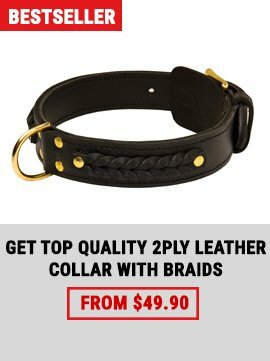 Everything about dog controlling and other interesting information are waiting for you in our newsletters. So, read and enjoy! 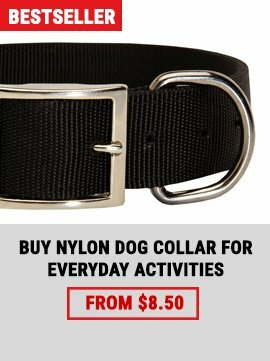 Make your dog's life comfortable and fashionable! 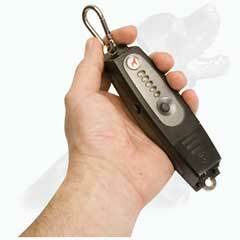 You may use Remote Trainer in any place and with a minimum of obedience training knowledge! Ultrasonic sound produced by Remote Trainer has a magic impact on the dog’s behavior. 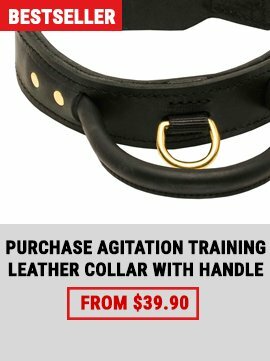 Regular use of this tool Stops Pulling Problem and helps to Concentrate Dog’s Attention on Performing a Particular Command. 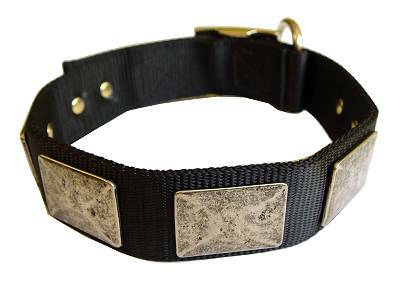 This Collar Is Extra Wide - Almost 1 3/4 Inch - Which Makes It Perfect Tool For Handling Large And Active Breeds This Nylon Collar Is Made With Symmetrical Proportional Silver Conchos!That Help Bring Out The Beauty Of This Hand Crafted Creation. We Used Only Silver Plated Hardware ! Available In Black Very Strong Water Resistant Nylon "Functionally fashionable".